After suffering a personal shock, a lovely, industrious Montana farm girl joins the prestigious crowd of the European elite on the Grand Tour of 1913. Returning home to her farm in Montana, Cora witnesses her father’s massive stroke that leaves the family destitute. Her teaching career aspirations die, but then a stranger intervenes, offering aid and bringing disturbing news: The good man who raised her is not Cora’s real father. She’s the illegitimate daughter of a Montana copper king, a fabulously wealthy entrepreneur who wants nothing more than to see his concealed child elevated and eligible for privileged opportunities. "GLAMOROUS ILLUSIONS is an outstanding first installment of an intriguing, cleverly written series for readers of all ages who enjoy inspirationals, historical fiction, or romance... Fans of the author are certain to be eagerly awaiting future volumes in what is bound to be one of her top series." Coerced by Wallace Kensington’s offer of assistance at a vulnerable time -- but not without significant strings attached --- Cora steps up shakily to take her “rightful place” as a Kensington. In high style, she sets off to Europe aboard The Olympic, the sister ship to The Titanic, accompanied by a band of socially exclusive Americans and servants, including her half-brothers and sisters. All but the servants seem to view Cora as subordinate, an outcast, and readers will recognize many class parallels as in Titanic. Chaperoning this troupe are a group of blue-collar men with excellent common sense and intentions, including a fellow named Will, who befriends Cora immediately and takes her under his personal charge and tutelage. Will comes from a similar background to Cora’s and has comparable religious sensibilities. His vast personal experiences dealing with elite individuals ease Cora through the difficult days to come. Naturally, Will becomes a primary source of encouragement and direction as Cora wines and dines at grand events on the Atlantic and throughout Europe, learning the intricacies of social graces and standing from someone who falls outside the systems of the rich. Cora’s down-to-earth perspectives on life and people shock her half-siblings at times, and she discovers the twisted charms of the lavish tour while being privy to the cruel rubric of the rich. Throughout her travels, Will educates her on the unique history and charms of places they visit, encouraging her to take it all in while leaving unpleasant experiences behind. In Will, Cora begins to recognize a kindred spirit. But his presence also creates obstacles later when Cora is introduced to a handsome, intriguing, filthy rich Frenchman who’s naturally quite taken with her. By this time, Will has clearly fallen in love and cannot help but play the part of the jealous suitor; this in spite of the fact that he knows they can have no future. He has been given explicit instructions by Mr. Kensington to ensure his children are wined and dined but receive no proposals. Lisa T. Bergren’s brilliantly imagined Grand Tour series explores some interesting ethical and societal questions surrounding social standing, equality, spirituality, economic privilege and social justice. 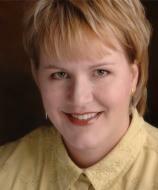 In particular, Bergren examines how a person’s background shapes his or her choices. While we all know money and power present their own problems, it is often a difficult thing to cope with excesses and keep some perspective. Bergren’s books will acquaint readers well with a variety of entrancing European places and cultures, and cover famous landmarks along the way. Obviously the first installment features the Eiffel Tower. The series journeys through England, France, Austria and Italy. Coverage of England in book one is brief before the troupe ventures toward France for the remainder of the romance. At the heart of the narrative is the question of whether Cora will succumb to the seduction of the Tour or remain who she always was: a humble, hard-working girl with simple aspirations. Will her all-American qualities be overshadowed by glamour? Will her exposures change her expectations in life? And who will she finally choose as a lifetime love interest? 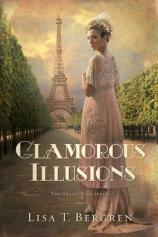 GLAMOROUS ILLUSIONS is an outstanding first installment of an intriguing, cleverly written series for readers of all ages who enjoy inspirationals, historical fiction, or romance. As in Bergren’s other novels, faith-based themes play a major role, and deeply embedded into the opening book is the question of how religion shapes people’s choices and makes them see life differently. Fans of the author are certain to be eagerly awaiting future volumes in what is bound to be one of her top series.